Legislation granting CASA legal status and authority was initially passed in 1999 as Wisconsin Act 149. This summary is provided as a reference to show the tie between significant CASA practice and Wisconsin law, though it is not necessarily comprehensive for all aspects of CASA practice. A. Formal recognition of a CASA Program will be accomplished by entering into a Memorandum of Understanding between the CASA Program and the Chief Judge of an Administrative District where the CASA Program is operating. The CASA Program is responsible for selecting, training, supervising and evaluating volunteers. 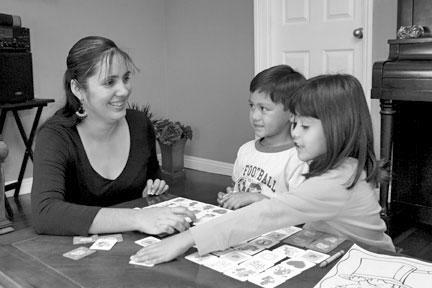 A CASA volunteer may perform the activities specified in Wis. Stat. § 48.236(a) to (c), in addition to any other requirements listed in the Memorandum of Understanding. A CASA volunteer may exercise any authority specified in Wis. Stat. § 48.236(a) and (b), unless the Memorandum of Understanding states otherwise. C. The Memorandum of Understanding can include any variances from Wis. Stat. § 48.07(5)(b) to (d), Wis. Stat. § 48.236(3)(a) to (c), or Wis. Stat. § 48.236(4)(a) and (b) if necessary to ensure more efficient administration of the program. At minimum, a criminal background check will be conducted with the assistance of the Department of Justice. CASA volunteers will also undergo on-going training throughout the year. G. If a CASA volunteer violates the confidentiality requirement, he/she is liable to any individual who may have been damaged because of the disclosure of that information. H. Any information distributed to the court must be sent to all parties. I. A CASA volunteer is immune from civil liability for any act or omission occurring while the CASA volunteer is acting within the scope of his/her duties as a CASA volunteer. b) This statute refers to physical, psychological, mental or developmental examination reports. c) Child’s AODA assessment report, physician, psychiatric, or psychological exam report. IX. CASA volunteers are mandated reporters of suspected child abuse and/or neglect.